A First Student manager will speak to the Unit 5 school board member on Wednesday night, Aug. 9, 2017. That’s the big question on Wednesday night’s school board agenda. Unit 5’s transportation officials will tell board members what they’ve done to prevent a repeat of last year’s rocky start, when route changes, driver shortages, and poor communication lead to upset parents and safety concerns. The district’s transportation vendor, First Student, may be on a short leash. It’s in the last year of its contract, meaning another bad year could lead Unit 5 to make a change for 2018-2019. School board member Joe Cleary, a Unit 5 parent, tried to terminate the First Student contract last fall but was outvoted. He’s expecting a smoother start this year. 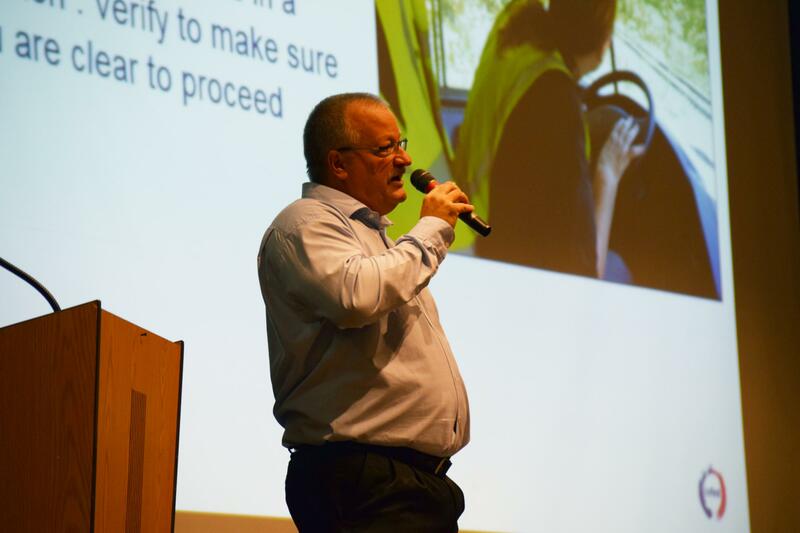 First Student's Mark Bohl speaks to drivers during a training session Monday, Aug. 7, 2017, at Normal Community West High School. Unit 5 transports 10,000, or 73 percent, of its students to school every day. Its fleet of buses travel 14,000 route miles every day—a massive undertaking that’s been outsourced to First Student since 2013. 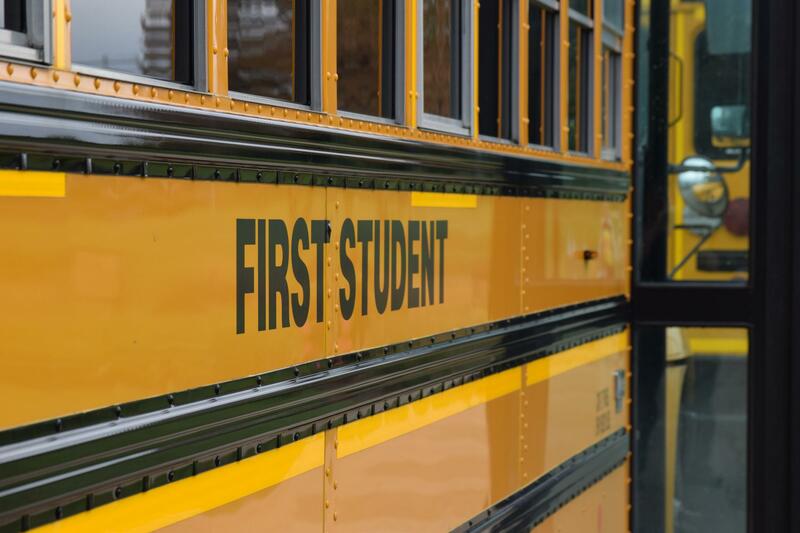 Several factors contributed to last fall’s busing problems. Unit 5 was trying to save money in light of shaky state funding for student transportation, leading to a change in school start times and major bus-route changes. At the same time, First Student was struggling to recruit and retain drivers. As concerns escalated, First Student and the district itself faced criticism for its poor communication with frustrated parents. The situation improved as the 2016-2017 school year went on, and First Student brought in a new local manager, Mark Bohl, to oversee operations. As of Monday, First Student has 146 drivers—including standby drivers—to cover its 127 routes, with another group of 15-20 drivers expected to complete training soon, Bohl said. Unlike fall 2016, there are no major route changes planned for the new school year. Drivers were given two extra days to work on their routes, and drivers will be driving the same routes in the mornings as they do in the afternoons, Bohl said. Cleary said the bus system has improved under Bohl’s management. “As much as anything, I’m a parent. My kids ride the bus with First Student. They’re going to be riding that bus, and I have full confidence that when I put them on the bus Aug. 16 to get to school, they will, hopefully without overcrowding, picked up at the right spot, dropped off at the right spot,” Cleary said. Unit 5 is trying to strike the right balance between serving its students and families while running its buses efficiently, Daniel said. First Student is prepared, he said. 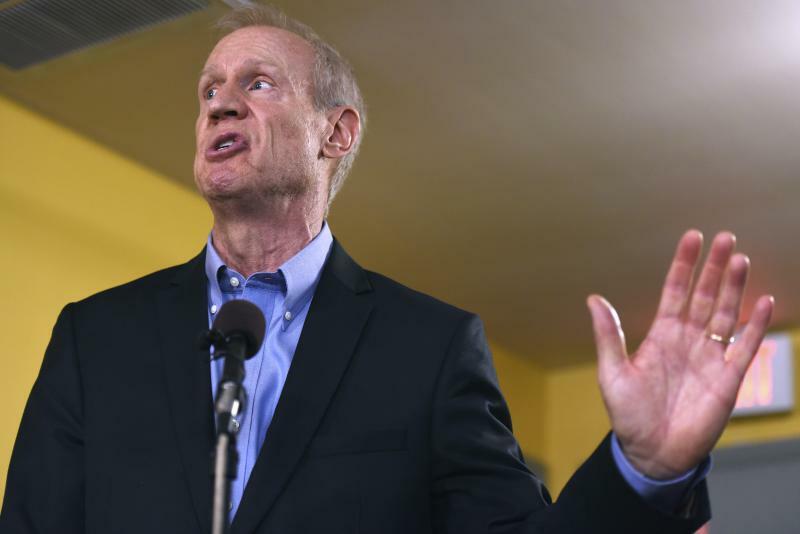 “They want to show the Midwest that First Student can deliver, and Unit 5 is one of those areas where a spotlight is being shined right now,” Daniel said. An excerpt from GLT's interviews on the Unit 5 bus system. GLT's full story on the Unit 5 bus system. The Unit 5 school board and Normal Town Council plan a rare joint meeting Wednesday to share information and possibly set up a new liaison committee. Unit 5 officials say they will not re-district Bloomington-Normal school boundaries this fall as planned. Unit 5 Superintendent Mark Daniel said a new demographic study shows only hot spots of enrollment growth and otherwise a slow decline in the number of students in the next decade.